The Cork man finished on 12 under and earned $41,000 to soar from 119th to 49th in the Asian Tour's Order of Merit with $47,335 from just four starts this year. Big-hitting Hend cruised to a three-stroke triumph a to become only the second player after China’s Zhang Lian-wei to win twice at the US$1 million Asian Tour event with a tournament record of 20-under-par 264. 264 – Scott HEND (AUS) 66-68-64-66. 267 – Chiragh KUMAR (IND) 67-66-69-65, Anirban LAHIRI (IND) 66-67-68-66. 270 – Brett MUNSON (USA) 66-74-65-65. 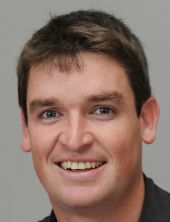 272 – Niall TURNER (IRL) 70-68-67-67. 273 – Jazz JANEWATTANANOND (THA) 67-72-67-67, Kiradech APHIBARNRAT (THA) 68-71-66-68. 274 – Javi COLOMO (ESP) 66-72-69-67, Sam BRAZEL (AUS) 68-66-69-71, Rashid KHAN (IND) 70-65-68-71. 275 – PAN Cheng-tsung (TPE) 71-68-68-68, Adilson DA SILVA (BRA) 68-65-72-70. 276 – Bongsub KIM (KOR) 71-68-69-68, Steve LEWTON (ENG) 72-66-67-71. 277 – David LIPSKY (USA) 71-67-67-72, Jeunghun WANG (KOR) 65-68-71-73.